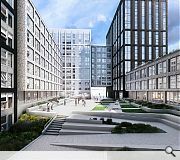 Glasgow’s build to rent market has sprung into life with the submission of a £105m plan to build 433 homes on the site of the former Strathclyde Police headquarters by Moda – which is acting as both developer and landlord. 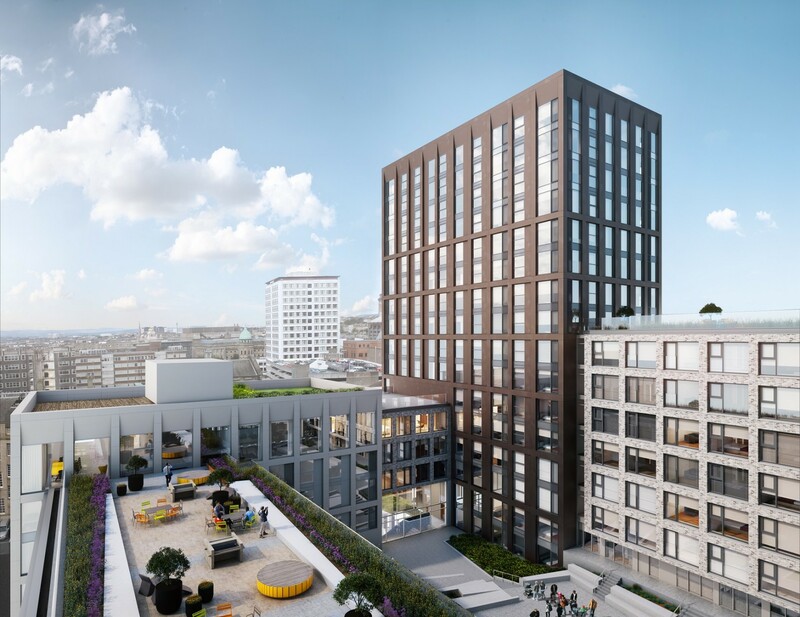 Following hot on the heels of a rival £200m scheme to the east Holland Park will also incorporate 31,000sq/ft of outdoor amenity space with accommodation arranged over four blocks set around a landscaped courtyard which will be open to the public during the day. 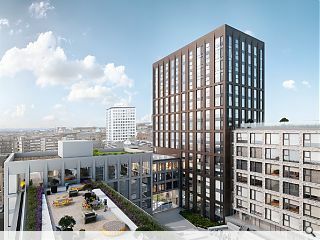 Murray Henderson, director at HAUS Collective, said: “The Holland Park proposals comprise a collection of forms that respond to the strong urban ‘grid-iron’ plan synonymous with Glasgow. 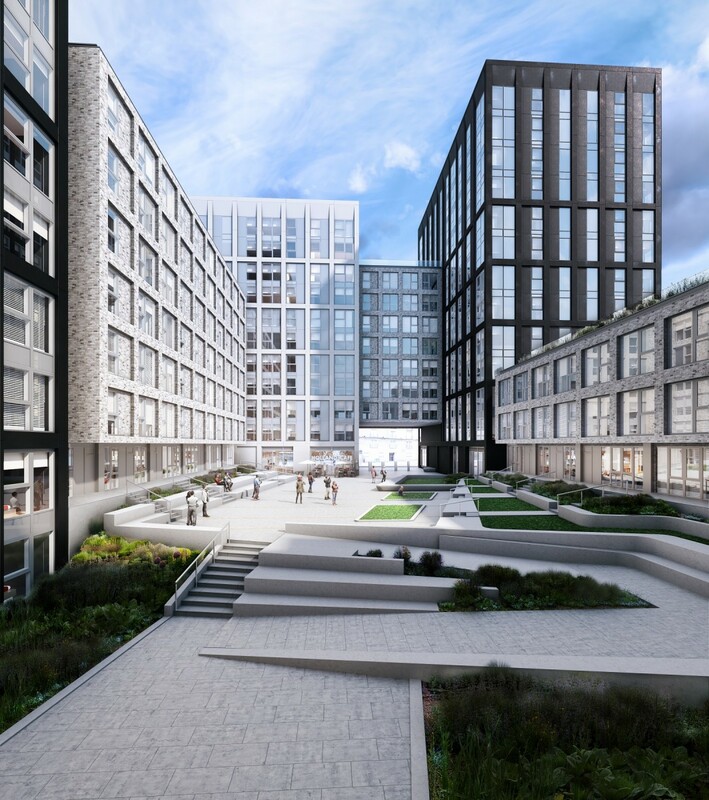 The scale of the site and its influential location within the city present a unique opportunity to deliver a high quality residential and mixed-use development that can contribute meaningfully to the locale by enhancing the townscape and local environment. This Pitt Street 'neighbourhood’ is envisaged to include co-working spaces for business startups, cafes, bars and restaurants, roof terraces and residents lounge with Woolgar Hunter serving as engineers. This is beginning to grow on me - the previous images of this development didn't really appeal to me. I could just be due to the comparison with the college lands proposals, but this doesn't look too shabby. I like the scale and the variation of buildings. I'd like to see more of the street elevations though, are there any available? Defo liking the look of this even more! Cant wait to see it getting started.